There is a large and messy challenge that comes with needing to share different types of information with different audiences in a single space, especially when one of those audiences is underserved. There have been countless (and important) efforts to create accessible content on the web in regards to differently-abled folx, but the conversation about creating accessible content for the LGBTQ+ populations is just beginning. Using The National Center for Transgender Equality as an example, we will walk through how language and hierarchy can make a site more accessible to different audiences with varying levels of understanding and sensitivity. 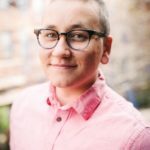 Sam Raddatz is the founder of Logic Department, LLC, a 4-person IA consultancy that specializes in user-based IA for non-profits and cultural institutions. She’s hired user researchers and IAs and have mentored graduates of General Assembly, master’s programs, and other people looking to break into the UX industry. She currently manages a team of four full-timers in Brooklyn, NY. With a background in project management, qualitative sociology and holding a Master’s degree in Information and Library Science, Sam tackles any challenge in the most organized and transparent way possible. An active part of the international IA community, Sam was elected to Information Architecture Institute’s board as Director of Events and Programming where she oversees the coordination of World Information Architecture Day. 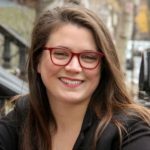 Clair Rock is a graduate of Pratt Institute with a Masters of Science in Information Experience Design focusing their attention on User Experience Research and Information Architecture. Clair comes from a Fine Arts background with a filmmaking degree that allowed them to make unique and experimental documentaries. Clair has always been interested in sharing complex stories, and finding the best solutions to making those stories accessible.